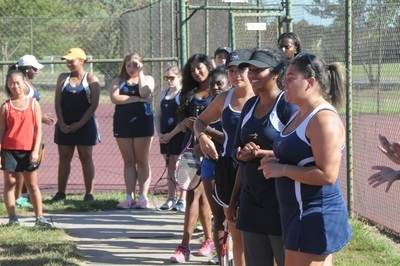 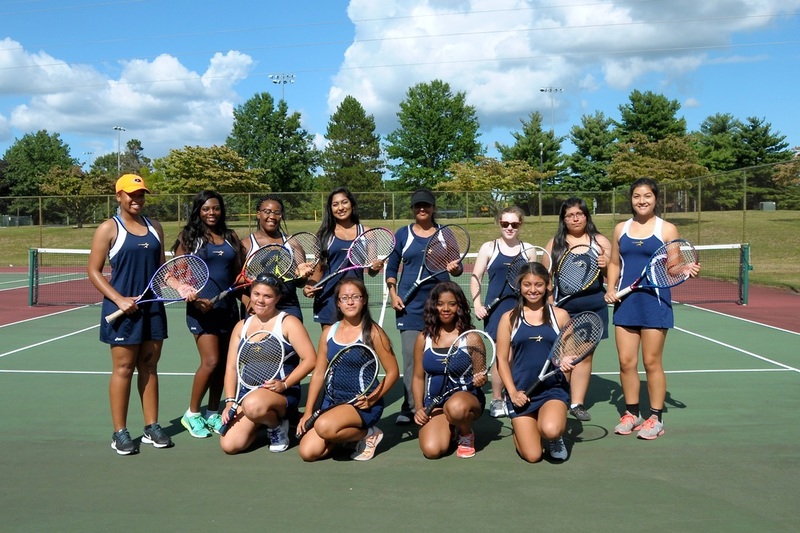 Congratulations to the Nottingham Girls' Tennis Team of 2016, which had a winning season for the first time in 13 years! 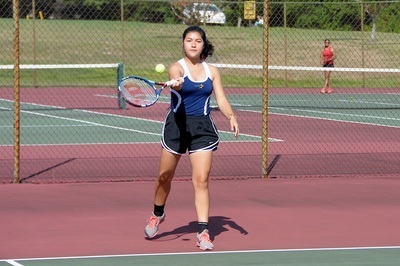 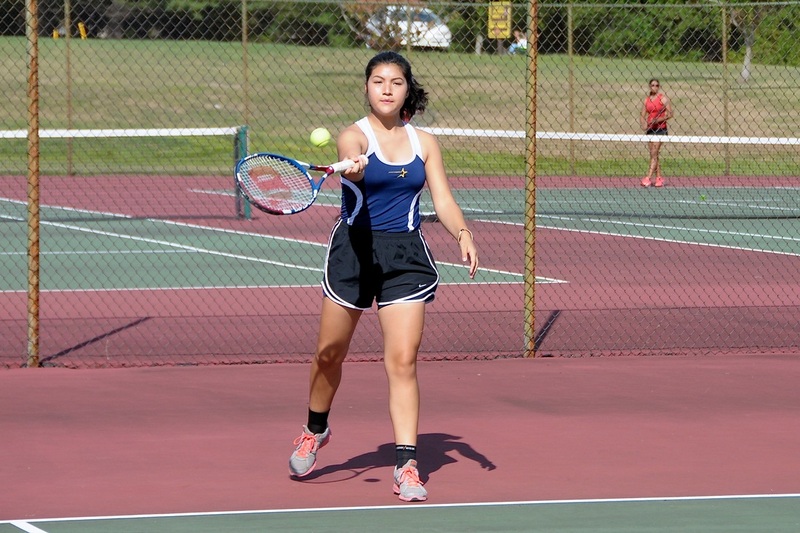 This year's top player, freshman Rosemary Esquivel, had an impressive record of 12-4. 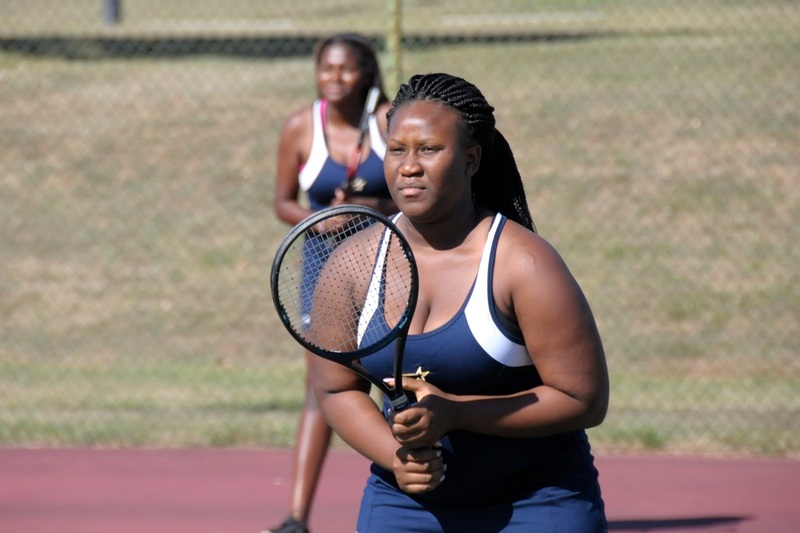 Coach Schwartz relates that “[Rosemary] is already the best player we’ve had in 13 years and she’s only a freshman. 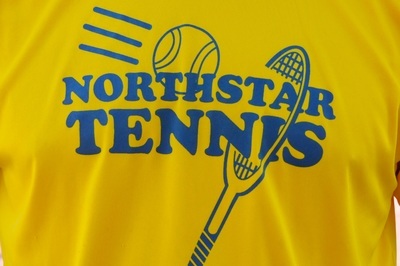 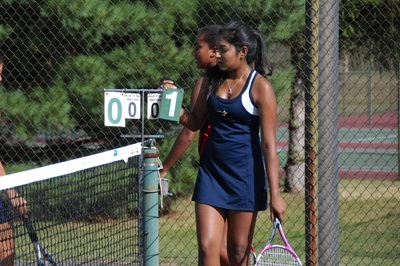 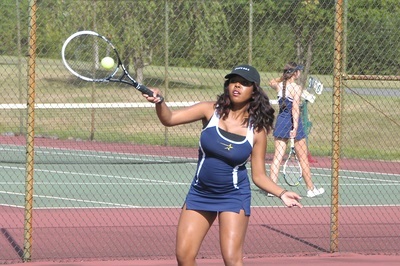 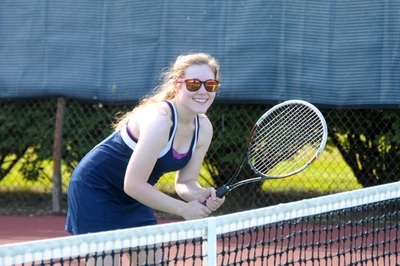 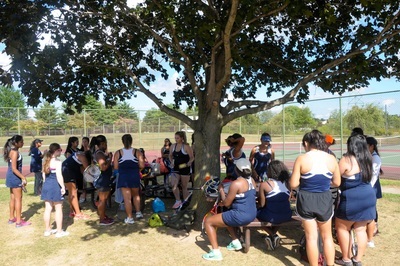 She’s polite, personable, and coachable.” Rosemary finished the season with what Schwartz claims was “the best record of any girls tennis player at Nottingham for at least 13 years, at any position, and she did it as a freshman at 1st singles.” She was even named the team’s MVP for her athletic accomplishments. 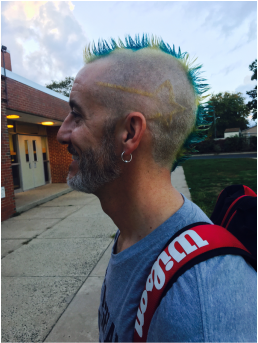 In honor of the 10-8 record and to show pride for the team, Coach Schwartz sported a blue and gold Mohawk. He sported this vibrant hairdo for a short period of time before letting his hair returned to its original state.